I consider myself a Artist/Craft-er. I work hard to create lots of varied, quality, handcrafted items, for sale. It's a hobby - but also something I truly enjoy doing and brings much pleasure and enjoyment into my life. I love what I do and strive to create a quality item. I have sold on eBay for over 6 years and have a Positive Feedback record of over 1,700. My feedback speaks highly of my character and customer service. 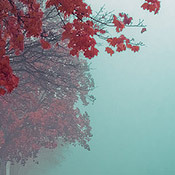 I hope you will take time to look at what I have available and find something you like. Please refer your friends to my site for their quality handcrafted needs. I will work with you to create anything in a personal manner you might desire. 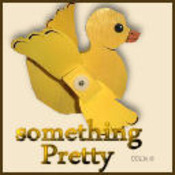 Somethingpretty doesn't have any items in their booth! Bettye is WONDERFUL to deal with- and her work is utterly superb! I am a handbag maker, some being custom. I like to do “theme” bags. For dog lovers, I make bags of dog fabric. The same for cats. What sets them off best, is Bettye’s work! Her buttons, made to my specifics, but with her talented hand, always catch the eye first. When I needed golf bag buttons, not only made golf bag buttons, she made them exquisitely detailed! Her personal touches to the items really make them stand out. I am making tote bags right now for our music teachers (I am a school nurse) and the bags are music themed tapestry, with her handmade, very detailed grand piano buttons! The buttons have caught the eye of all those that see them at art/craft shows that I sell my bags at. Now that I have mentioned the QUALITY of her work, as a businessperson, she always has provided EXACTLY what I asked for, and has always been willing to make any needed changes when requested. I have never had to wait any appreciable period of time for any item I have ordered, and once completed, never waited more than a day or so to recieve it. I will be ordering a lot of items from Bettye for my future bag designs. Love your items here, We are Facebook friends, But I’ve been remiss in endorsing those I know, Forgive me, Much success here. Anyone that pops into my b00tH dropping POSiTiVE energY = definitely deserves my individual PERS0NAL eND0RSEMENT ~ Please take a moment to visit sellers’ (Somethingpretty) b00tH next…MONTR0Se approves this message! I was told about Somethingpretty from the twins (MONTROSE and MOONcoins) and I too would like endorse her. I look forward to doing business with her in the near future. She is a very kind person with nothing but nice compliments to give. I recently got the maple leaf windchime from Bettye and all I can say is WOW! This windchime is beautiful. Her attention to deal is amazing and her commitment to excellence is superb. When you buy from Bettye you can be assured you will receive a high quality, handmade item that will last you a very long time and will be a constant joy to look at. So, buy with confidence from this seller. You won’t be sorry. I’m not. I recently met Bettye and I’m so happy I did. She is such a sweet, happy woman and does such beautiful work. You can see the love she puts in all her pieces and if I could afford it, I’d get a bunch of her tiles to do around my kitchen counter. She is a wonderful person to meet and know and I am truly blessed to have met this wonderful person and call her Friend. God Bless and keep up the beautiful work. Seniors? They’re the best because they’re the smart ones = I luv em’…. We built our dream home in Franklin, TN, and I commissioned Bettye to do all of the hand painted tiles for me. She did the splash behind our range, splashes on two bathroom vanities, a large tile painting over a tub, a large vertical painting in a wine closet, and food label tiles that I used as a border in a walk in pantry. Here is a direct link to a tile painting behind one of our bathtubs. They are all absolutely wonderful! If you have a special project that calls for custom tiles, remember Bettye. SomethingPretty has been so friendly and helpful to me on Bonanzle. I appreciate her professional and honorable selling values and warmth. A great asset to Bonanzle! Lovely seller to work with! I needed a specialized message for a gift and she worked with me to create the perfect mug that I was looking for. She got back in touch with my emails quickly, worked with me in creating just what I was looking for and got it made for me within 24 hours and shipped out. I highly recommend this seller if you are looking for just the right mug for a special gift!